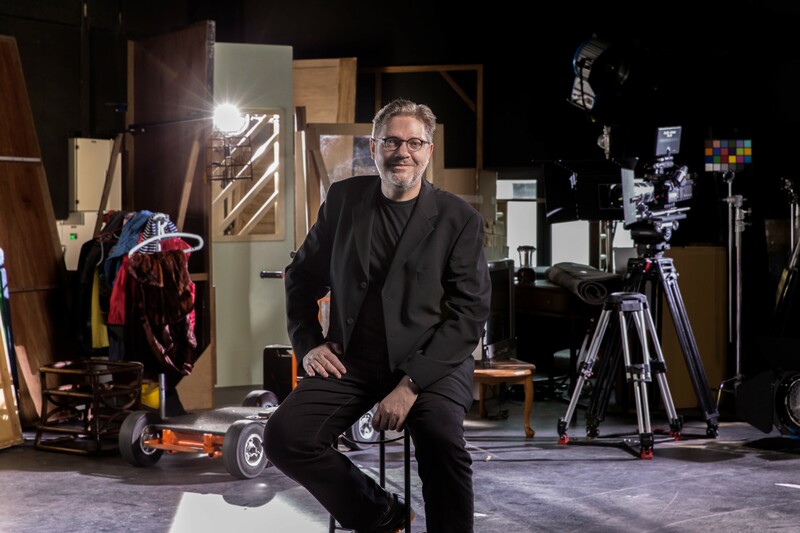 London Film School (LFS) is delighted to announce that the award-winning film director and dedicated educator, Gisli Snaer, has been appointed as the new Director of the School with immediate effect. Snaer originally joined LFS in 2016 as Head of Studies from the Puttnam School of Film, LASALLE College of the Arts, Singapore. The appointment comes at a time when the School goes from strength to strength in terms of both student recruitment and recognition of talent, including the showcasing of work at this year's Berlinale, Cannes and the 2018 Edinburgh Film Festival. "I am tremendously honoured to be appointed and delighted to lead the superb team of the UK's first film school. LFS benefits from a diverse filmmaking community with an international reputation. The School has always been proud of its students and wants to play a more significant part in the UK with support from industry and government. I look forward to building on this as LFS develops, working with staff and students to achieve further success regionally, nationally and internationally." Gisli Snaer is an award-winning film director, and a graduate of La Fémis in Paris, France. He comes to London Film School after heading up the Puttnam School of Film, LASALLE College of the Arts in Singapore. Snaer has served as a member of the international jury at the 2002 Berlin International Film Festival Kinderfilmfest, the Ale Kino Film Festival in Poland 2003, Singapore Creative Video Competition 2011, 2014 and 2015 Endeavours International Documentary Film Festival in Singapore, Autism Uncut by The National Autistic Society in U.K., Fastnet Film Festival 2017 and 2018 in Ireland, the BAFTA recognised 2017 Aesthetica Short Film Festival in U.K. and as a Head Jury for the Asian European Foundation photo competition 2015 ‘On The Go’. Snaer is a member of the European Film Academy, the Royal Television Society, the Directors Guild of Iceland, and the Federation of European Film Directors. His academic research interests include Adaptation of a Novel to Screen, Ambiguity and Subtext in Visual Media, The Evolution of Story, Storymaking and Storytelling. Founded in 1956, London Film School is the UK’s first film school and one of the world’s longest established graduate filmmaking schools. It produces over 180 films a year via its Masters' programmes. LFS students and alumni continue to perform well on the festival and awards circuit, from Berlin to Venice, BFI London to the Academy Awards. LFS alumni are established in film and television production in more than eighty countries. The long list includes world-renowned filmmakers, including Mike Leigh, seven times Oscar nominee, winner of Cannes' Palme d'Or and Venice Golden Lion, to name just a few of the many accolades received throughout his long career as a leading filmmaker. Other distinguished alumni include world-renowned filmmakers such as Michael Mann, Ann Hui and Duncan Jones to writers David Thomson and Iain Sinclair as well as emerging talents like Gonzalo Maza, co-writer of ‘Una Mujer Fantástica’ (‘A Fantastic Woman’), winner of Best Foreign Language Film at the prestigious 90th Academy Awards. Greg Dyke recently joined as Chairman of London Film School at a time of major change for the School, including plans to relocate from its present home in Covent Garden to London City Island (LCI). There, it will join the English National Ballet in one of the growing number of cultural hubs springing up in the East of London. The move to LCI will allow LFS to broaden its student base, offering its unique model of practical filmmaking and talent transformation to a larger number of UK students, meeting both individual aspirations and the skills needs of the UK film industry at a time of significant change.